The following is an announcement from the Ministry of Tourism in the Nevis Island Administration (NIA) regarding an extension for Taxi Permit renewal. The following is an announcement from the Ministry of Tourism in the Nevis Island Administration (NIA) applicable to all bona-fide taxi operators on Nevis. Hon. 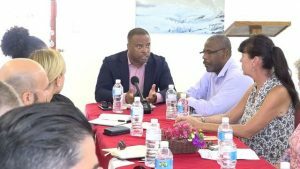 Mark Brantley, Premier of Nevis and Minister of Tourism, thanked the St. Kitts and Nevis Hotel and Tourism Association for affording him the an opportunity to interact with hoteliers on Nevis at its monthly meeting which was held at the Oualie Beach Resort on July 31, 2018. Hon. 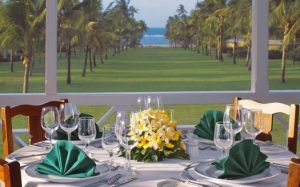 Mark Brantley, Premier of Nevis and Minister of Tourism, hailed the achievement of the Nisbet Plantation Beach Club in Newcastle which was named by the Travel + Leisure Magazine in its 2018 World’s Best Awards as one of the Top 25 Resort Hotels in the Caribbean, Bermuda and the Bahamas. 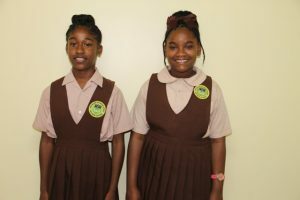 Two students of the Gingerland Secondary School (GSS) captured the winning spots in both the junior and senior categories in Nevis of the local leg of the 2018 Florida Caribbean Cruise Association (FCCA) Essay Contest hosted by the Ministry of Tourism in the Nevis Island Administration (NIA).